Mediation is a voluntary process in which disputing parties select a neutral third party (the mediator) to assist them in reaching a negotiated settlement of their differences. Unlike a judge or arbitrator, a mediator has no power to impose a solution on the parties. Rather, the mediator helps the parties to shape for themselves solutions that meet their interests, needs and objectives. Mediation can be conducted either under the sponsorship of a dispute resolution organization, or, instead, ad hoc, under rules negotiated between the parties. For a discussion of the benefits of mediation, see below, questions 2 (“What are the Benefits of Mediation?”) and 6 (“What Does Mediation Cost?”). Mediation permits the parties to fashion their own negotiated outcome. It therefore leaves the power of decision in their hands, rather than giving it to a disinterested third party. And, like arbitration, mediation is a private and confidential process. These two important features of mediation often permit parties with interests in common to continue a valuable relationship by mediating their differences rather than having them decided in a manner adverse to the interests of at least one of them in a judicial or arbitral forum. In addition, mediation can most often be completed in a matter of hours on a single day, as compared to the days or weeks that might be required to conduct the trial of the same case in court or in arbitration. Because this is so, mediation is almost always significantly less expensive than either litigation or arbitration. 3. Is it Necessary to Mediate under the Auspices of a Sponsoring Organization? Although mediations can be conducted under the auspices, and subject to the rules, of a sponsoring organization (these are “administered” or “institutional” cases), that’s not required, unless the parties expressly agree to it. 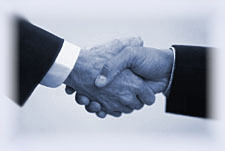 Many mediation proceedings are therefore conducted by the parties under rules they negotiate among themselves. These are called “ad hoc” cases. Because sponsoring organizations take charge of all, or nearly all, aspects of administering the proceeding, they charge a variety of filing and administrative fees. The costs of an administered mediation proceeding are therefore usually higher than those of an otherwise similar ad hoc case. To avoid the necessity of devising detailed mediation rules for a single case, many parties to an ad hoc case adopt the rules of a respected neutral organization that doesn’t administer mediation cases, but merely encourages use of mediation and offers its expertise in supplying model ad hoc rules. An alternate set of ad hoc mediation rules for business cases, tailored to the needs of smaller businesses, can be downloaded from this website - see the Wisconsin Model Arbitration & Mediation Rules. 4. When is the Best Time to Mediate? Some experts believe that the best time to mediate a dispute is before a formal court case or arbitration proceeding has been commenced. That’s because this approach may save time and expense, and might, as well, permit the controversy to be resolved before contending positions become entrenched or relationships become irretrievably broken. Others believe that it may be best to wait to mediate a dispute until after the issues in dispute have been crystallized in the course of the litigation process, and after all parties have had a fair opportunity to discover the facts of the case and consider the legal and economic implications of those facts. Still others believe that the prospects for a successful mediation may be highest just a few days or weeks before a scheduled court trial or arbitration hearing, because it’s then that all concerned will likely have a complete appreciation for the risks and costs associated with pursuing the case to a decision and thus be in the best frame of mind to settle the matter so as to avoid those risks and costs. Any of these points of view can be the correct one for a particular controversy. Parties contemplating mediation should consult with their legal advisers to determine which approach to mediation timing is right for their dispute. 5. What’s Necessary to Start a Mediation Proceeding? Parties can agree in advance to mediate a dispute that may arise in the future (via a “pre-dispute mediation agreement” [or “clause”]), or they can agree to mediate an existing dispute (via a “mediation submission agreement”). Both forms of mediation agreement are usually made in writing. If a dispute arises out of or relates to this contract, or the breach thereof, and if the dispute cannot be settled through direct negotiation, the parties agree first to try in good faith to settle the dispute by mediation under the mediation rules of [here insert the name of a sponsoring organization, or, in case an ad hoc proceeding is desired, a reference to appropriate ad hoc rules, such as the Wisconsin Model Mediation Rules] before resorting to arbitration, litigation, or some other dispute resolution procedure. The undersigned parties hereby agree to submit a dispute that has arisen between them with regard to [here briefly describe the nature of the dispute] to mediation according to the rules of [here insert the name of a sponsoring organization or a reference to appropriate ad hoc rules, such as the Wisconsin Model Mediation Rules]. Once an agreement to mediate is reached, it’s only necessary for the parties to file a notice of the commencement of mediation with the pertinent sponsoring organization, as provided in its rules, and to pay its required filing fee, or, in the case of ad hoc mediation, to select a mediator for the case pursuant to the specific rules under which they’ve agreed to proceed. 6. What Does Mediation Cost? In general, the parties to an administered mediation proceeding will pay the sponsoring organization an initial filing fee, analogous to a court filing fee, to commence the case. The filing fee is most often determined by a sliding scale depending upon the dollar amount of the dispute – the larger the amount in dispute, the larger the fee. Typical filing fees range from hundreds of dollars to thousands. These fees, as well as subsequent case administration fees, which likewise can run from hundreds to thousands of dollars, can be avoided, in whole or in substantial part, by parties who elect to mediate in an ad hoc proceeding. Whether the case is administered or ad hoc, the parties will need to pay the fees and expenses of the mediator chosen for the case. Mediators’ fees may be set as a fixed fee, or instead, as an hourly or daily rate, and will vary depending upon the nature of the dispute and the experience and reputation of the mediator. Mediators may charge for all, or instead, only some, of the time they devote to a case. Some will charge for travel time or study time or administrative time as well as “session time.” Some will charge for various categories of their time at a rate different from their rate for actually conducting the mediation session. The mediator’s fees and expense policies should be discussed between the mediator and the parties at the time the mediator is selected. The parties to a mediation proceeding must also pay their separate legal costs, in the form of attorneys’ fees and related out-of-pocket expenses, if they’re represented by legal counsel. Unless the parties agree otherwise, each party pays its own costs of participating in the mediation proceeding, and the mediator’s fees and expenses are normally divided equally among the parties. Even if the case is administered by a sponsoring organization, it’s most often true that the time savings associated with mediation will result in cost savings to the parties who elect mediation over either arbitration or litigation in the courts. 7. Are There Different Modes, or Styles, of Mediation? There are several different styles of mediation. Those most commonly seen in business and commercial settings are called “facilitative” and “evaluative.” A purely facilitative mediator helps the parties to exchange information, frame the issues in their dispute and search for agreeable outcomes, but does not offer opinions on the issues or suggestions for possible settlement terms. An evaluative mediator, on the other hand, will, if and when requested by the parties, use his/her expertise to assess the issues and to propose possible solutions for their consideration. Many mediators of business cases use a mix of facilitative and evaluative methods. 8. What Makes a Good Mediator? A mediator of substantial business disputes should have training and experience in mediation law and procedures as well as in civil trial practice and the subject-matter of the dispute. This level of expertise can be measured by academic degrees, by years of service in a relevant profession, by qualifying mediation training credentials, and by a record of writing and teaching in the field. A good mediator also has a reputation for integrity, professionalism and impartiality. These traits can be demonstrated by, for example, membership and leadership in professional organizations that are devoted to dispute resolution and adhere to a published code of conduct for dispute resolution professionals. A mediator should also display sound judgment and the capacity to make all participants in the mediation proceeding comfortable with the process, to draw out, by thoughtful questioning, their interests, needs and concerns, and to recommend effective solutions for their consideration in a way that preserves both their dignity and the confidentiality of the process. These qualities can be demonstrated, in part, by the number of sponsoring organizations with which the mediator is associated, and by the mediator’s length of service with such sponsoring organizations. These essential qualities can likewise be demonstrated by, for example, the extent to which the mediator is trusted to mediate multiple disputes involving the same or related parties or is recommended to others by the parties or their legal advisers.